Prvi Partizan has been producing custom ammunition for competition, range shooting, and hunting since 1928. Located in Serbia, Prvi Partizan produces high-quality ammunition that meets all SAAMI standards. Managed by a stringent internal quality control system, you can count on all Prvi Partizan products to be consistent, reliable, and accurate. 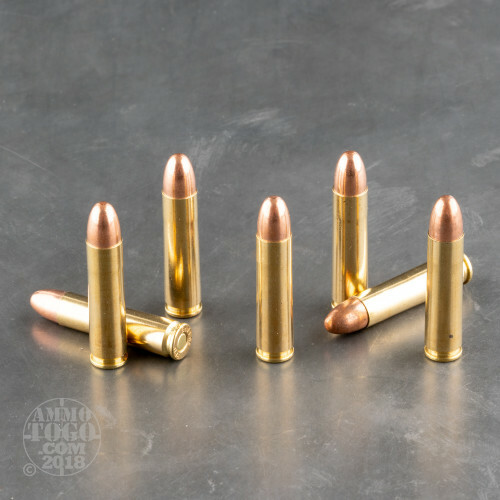 An ideal option for target shooting, practice drills, or casual plinking, each of these 50 rounds is loaded with a 110 grain full metal jacket projectile. These non-expanding bullets deliver dependable accuracy, high velocities, and smooth function due to their shape and uniformity. This is new production ammunition that features non-corrosive boxer primers and fully reloadable brass casings. Leaving the muzzle at 2001 feet per second with 978 foot pounds of energy, each of these 50 rounds offers premium quality for a reasonable price. I fire much of this ammo ( .30 Carbine ) in my carbine. The ammo has never misfired or given any problems to date. Premium quality all around. What is the Caliber of a .30 Carbine Cartridge? The “caliber” (which refers to either the internal width of a barrel or the diameter of the bullet) for a .30 Carbine cartridges is precisely .308 inches. This places it along the same size, at least for bullet diameter, as the .308 Winchester, .30-30 Winchester, and .30-06 Springfield. However, as we’ll explore further below, the bullet has a shorter profile than these cartridges, generally resulting in a slower velocity. For What Gun was the .30 Carbine Developed? This cartridge was originally developed for the M1 Carbine. Just before World War II, the United States started a program to develop light rifle cartridges and firearms, which would be used to by support units and rear-area personnel who didn’t necessarily need a long-range heavy rifle, but needed more than a sidearm. This cartridge was developed for the M1 Carbine, which is a small rifle that is light and manageable yet accurate. 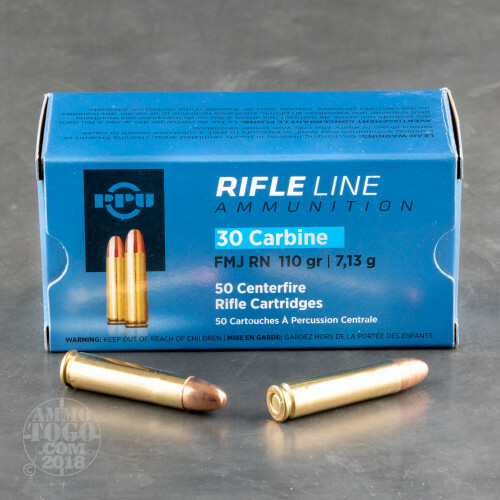 To this day the .30 Carbine/M1 Carbine combination remains one of the most iconic in firearms history, as both played a significant role American conflicts from the second world war to the Vietnam conflict. Why Was the .30 Carbine Developed for Pistols? Because the cartridge was light yet fast and powerful, it became a popular option for pistols, starting with handguns developed for the round in the 1940’s. Although handguns for this cartridge are rare, if you search long enough you can find semiautomatic pistols chambered for this round. These are mostly used for target shooting, although the round could be used for self defense if you have the right cartridge. “Carbine” comes from the French word “carabine,” and it denotes a full-sized rifle with a short barrel. It is usually used to describe the firearms themselves (such as the M1 Carbine) but it’s also used in cartridges, such as the .30 Carbine. Carbines are lighter and easier to handle, so they are typically issued to high-mobility troops. Can You Hunt with the .30 Carbine? Absolutely! 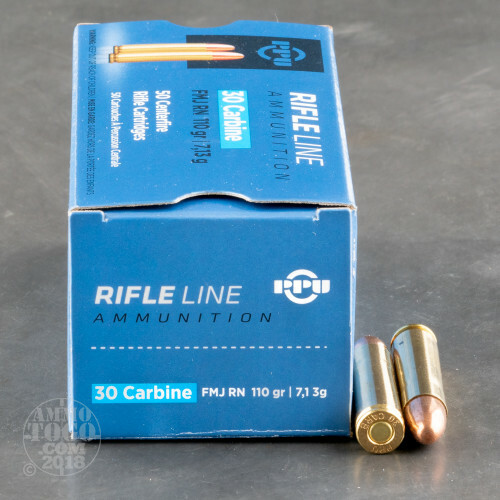 The .30 Carbine is a fully capable cartridge that can help you harvest a wide range of game animals. The cartridge is generally loaded with bullets that are 110 grains, and it can deliver muzzle velocities approaching 2,000 feet per second and muzzle energy over 1,000 foot pounds. 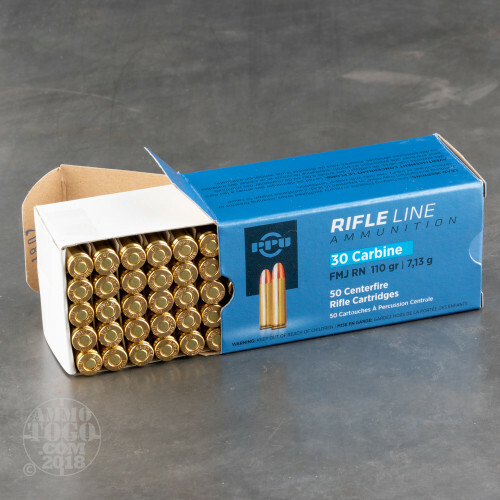 With reliable performance and accuracy, the .30 Carbine is can be used for whitetail deer, wild hogs, coyotes, and many other animals. If using the round for hunting, make sure you have an expanding round such as a soft tip; avoid full metal jackets, which do not expand and are best for target shooting.